Aditya Prakash Tare, popularly known as Aditya Tare is an Indian Cricketer born on 7th November 1987 in the city of Mumbai, Maharashtra. Tare is a wicketkeeper who came into the limelight when he was picked up by the Mumbai Indians side during the IPL. He is a right-handed batsman known for his lusty blows down the order and also for his ability to shape his game according to the situation which persists. On the first-class scene, Tare is a regular feature for the Mumbai side and currently is the captain of the Mumbai first-class team. The wicketkeeper-batsman made his List A debut against Baroda at Pune on 27th February 2008. Tare soon made his first-class debut for his side at his home ground against Orissa on 10th November 2009. Tare was also pretty quick to adapt to the T20 format as he made his T20 debut for his side Baroda during the Syed Mushtaq Ali Trophy on 20th October 2009. Wicketkeeper-batsman Aditya Tare first came into the limelight after he was picked by IPL franchise Mumbai Indians in 2010. He was a part of the squad during the franchise's title-winning campaigns in 2013 and 2015. Tare is often famously remembered known for hitting a crucial six against Rajasthan Royals in IPL-7 that helped Mumbai Indians make it to the last four from nowhere. 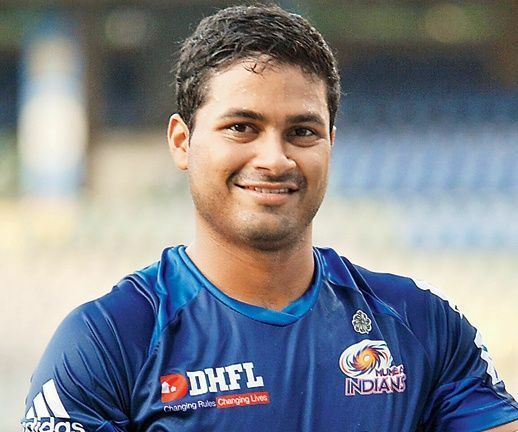 Though Tare did not play the 2010-11 Ranji Trophy season, due to recurring injuries, he came back with a bang the next season by accounting for the most number of dismissals for a keeper in a season, while becoming the second highest run-getter for Mumbai that season. Tare has played a total of sixty-one matches in his career as a first-class cricketer, he has scored 3,554 runs with an average of 37.02. Aditya Tare has played for major teams like Delhi Daredevils, Mumbai Indians and Sunrisers Hyderabad in the IPL. He has also represented the India A side. Tare has also been a part of Indian Oil Corporation XI and the Mumbai Cricket Association President's XI. Tare, a permanent fixture in Mumbai's domestic side, took over the captaincy of the Ranji Trophy team from Suryakumar Yadav in 2015. He has also been made the skipper of the T20 Mumbai side for the Syed Mushtaq Ali Trophy.